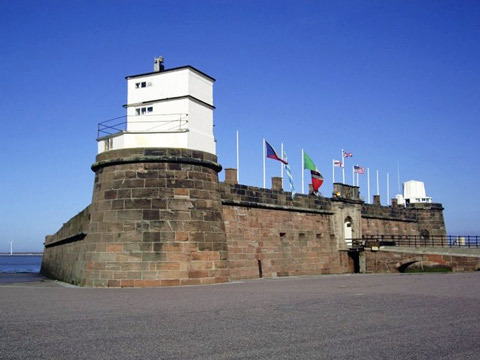 A fort built between 1826 and 1829 at the entrance to the Mersey with 30 foot walls and 40 foot towers. At high tide it is cut off from the shore. 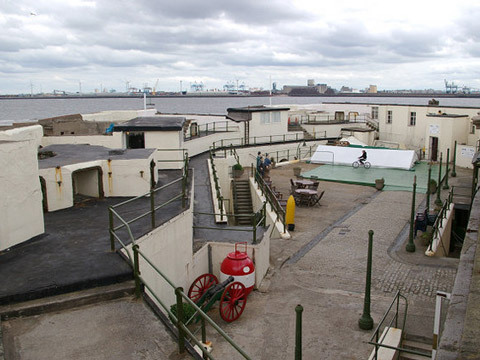 It was in use until after the second world war. It was restored it to its original 1826 design 25 years ago and used as a museum, but is empty at the present time.